Lovely and surely a billion times better tasting than when made with store-bought ingredients. The high cacao chocolates are usually not too my liking but I am intrigued by your description and hope this company comes to Canada. Someone has to taste all that chocolate!!! I tried making smores when I made my vegetarian marshies. They are so good! But not very common in AUS unfortunately. The chocolate tasting event sounds heavenly! Buried in melted homemade marshmallows and surrounded by graham crackers makes for such a stunning dessert! S'mores heaven! You know it's funny. I'm not a huge chocoholic either but yet a recipe like this makes me understand why it's usually voted most popular. I mean how could you resist? Looks DIVINE. Such a good idea. Thanks for sharing! I'm a little obsessed with s'mores :) Love this! Leave it to you to make these guys from the ground up! Yum. Have you ever gone as high as a 90%+ chocolate with something like this? Chocolate in the 70s is preferred for us, but people who can handle that sharp, rich cocoa flavor would love your pairing. These smores are looking so gorgeous! These chocolates sound so good! I wish I had these here in India. YUM! Although I've seen the name pop up, I actually didn't know what s'mores are. Surely something I have to try in the future as they look delicious! 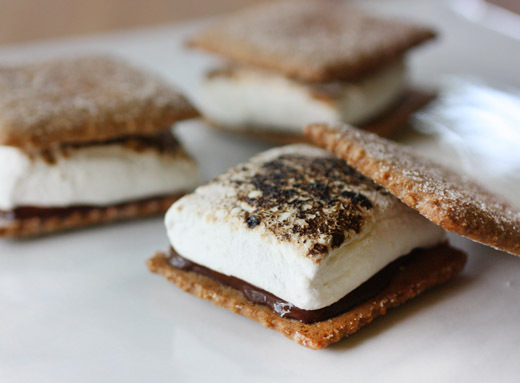 These are the most perfect S'mores -- ever! I've had that chocolate, too. Incredible tasting with such complexity. These are smores are a beautiful thing. Delicious. More importantly chocolate ( like some other foods) when produced with labor that is provided a living wage and good working conditions, it is just that much better. 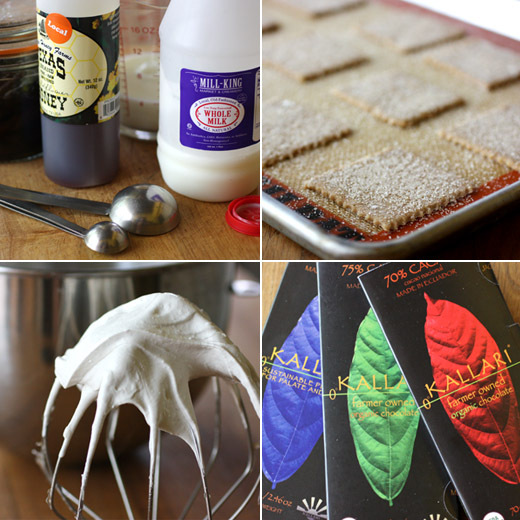 With all of the s'mores now out on all the blogs made from industrial cookies and marshmallows, how fabulous to see home made! I bow down to you, Lisa. And don't they look better than all the rest put together? 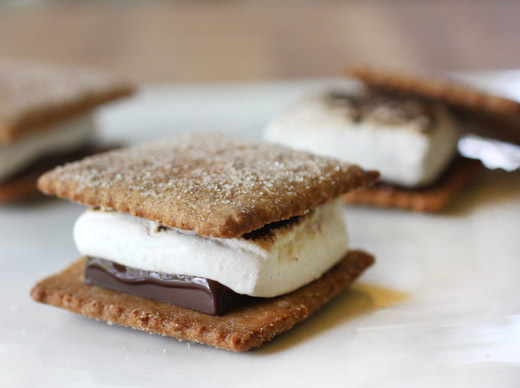 Your graham crackers and marshmallows are perfect and with a great quality chocolate I may even be willing to do a bit of Girl Scouts all over again! Very interesting about the chocolate Lisa. How wonderful that you got to sample it. I bet those s'mores were mighty special!